Small salon but very friendly staff, pleased with cut and was dealt with quickly although it was very busy, always a good sign! 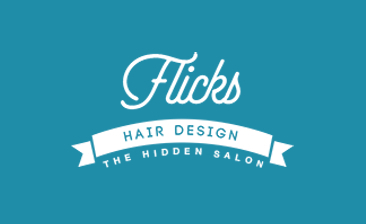 Flicks is a great little hair salon. A friendly greeting when I entered and the owner was easy to chat to. I loved the colour, my hair was super shiny and she done an excellent cut. Cut and colour all done in less than 2 hours. I'll definitely be back! Very basic but friendly salon. No frills but does the job! Booked for a bouncy blow dry for my work's night out - loved it! And the curls were still lovely the next day. I also arrived thirty minutes early and she went out her way to accommodate me. Also discovered Flicks is open on a Sunday so will definitely be back.